Is It Really Necessary to Update Windows? Most users have encountered this issue at one time or another: You step away from the computer for a while, and when you come back, everything's gone. Why? Because Windows installed some updates and then proceeded to reboot--without your permission. This is just Microsoft's way of looking out for less tech-savvy users, who might neglect to install important updates on their own, but it can still drive you nuts. 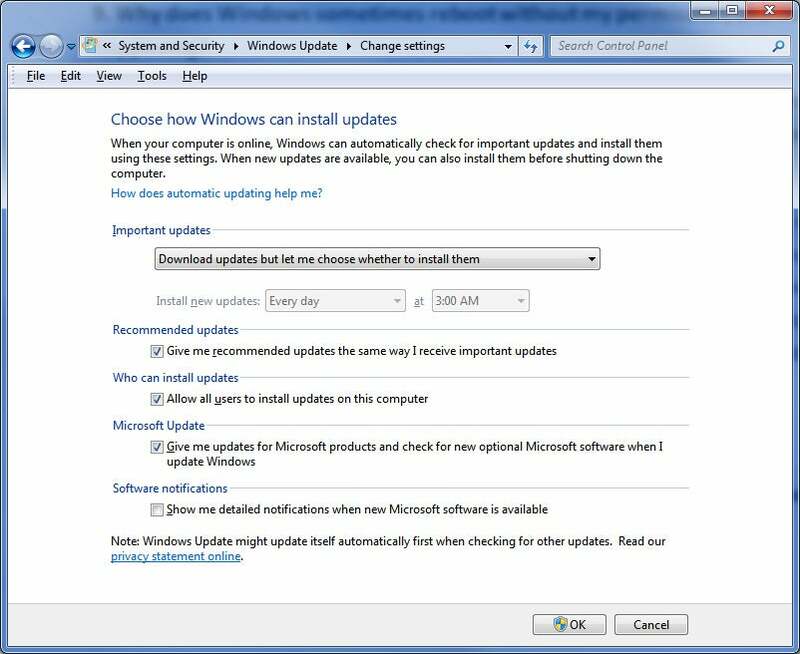 If you want to change the way Windows Vista and 7 handle updates, do the following. Step 1. Click Start, type Windows Update, and press Enter. Step 2. Click the Change Settings option at left, and then select Download updates but let me choose whether to install them. End by clicking OK. Though Windows may still nag you about installing updates, at least it won't reboot without your approval.